This is a summary of the 9pm BST #eltchat on Twitter from Wednesday 6th April 2011. 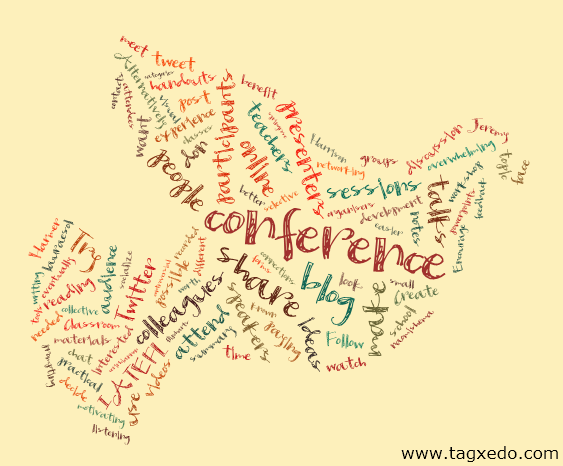 It was contributed by Sandy Millin; it first appeared on her blog with the title “Conferences: Spreading the Love” and is reproduced here with her permission. Thank you very much Sandy!!!! Previous: Previous post: What would you like to talk about on Wednesday April 13?